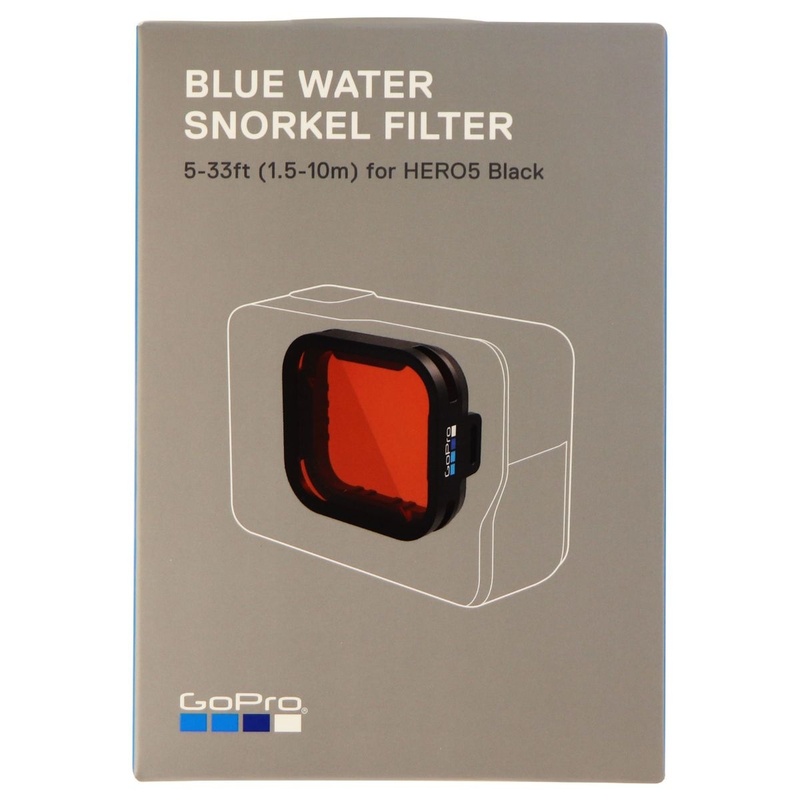 The GoPro Blue Water Snorkel Filter made for HERO6 Black and HERO5 Black GoPro Cameras. An Official GoPro Accessory. Model: AACDR-001. - Provides color correction while capturing footage in blue water or clear freshwater at depths of 5 to 33ft (1.5 to 10m). - Constructed of scratch-resistant, optical-grade glass for optimal image clarity. - Presses into place directly on the camera, no tools or housing required. 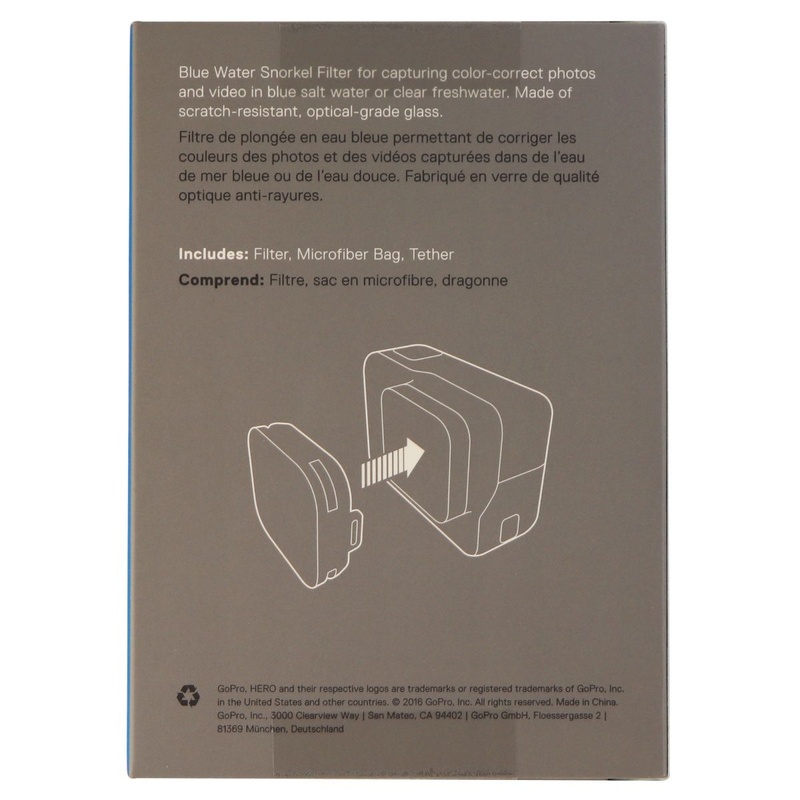 - Includes a tether and a microfiber bag for storage and lens cleaning. - For use with HERO6 Black or HERO5 Black.